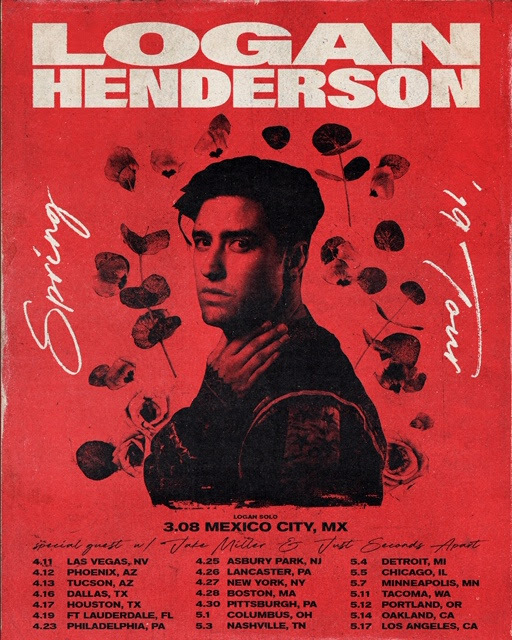 Singer-songwriter, musician, and recording artist Logan Henderson will support fellow label mate Jake Miller on his 21-date spring ‘Wait For You’ Tour, starting April 11 in Las Vegas and ending May 17 in Los Angeles. The tour will hit major markets in the U.S. including New York, Chicago, Houston, Nashville, and more. During these shows, Logan will perform new music off his forthcoming EP–the second installment and follow up to 2018’s Echoes of Departures and the Endless Street of Dreams due out this spring via RED MUSIC–featuring the lead single “Pull Me Deep,” which recently became Logan’s second consecutive Top 40 hit on pop radio with nearly 6 million cumulative streams. Tickets for the ‘Wait For You’ Tour will go on sale to the public on Friday, February 1 at 10:00 am local time HERE. Echoes launched Logan’s long-awaited solo debut since his departure from the multi-platinum pop powerhouse band Big Time Rush. With the group, Logan gained international recognition and sold millions of records worldwide, including the group’s platinum-certified 2010 self-titled album, BTR which debuted at #3 on the Billboard Top 200. Armed with a wealth of new solo material and an exciting new live show, 2019 continues to show Logan Henderson in a brand new light, as an artist taking full control of his sound and letting the music do all the talking.